Coffeeshop De Prijs ('The Price') is located on Surinamestraat in the west of the city, only a few minutes from Vondel Park and not much further to Rembrandt Park. this place is positioned on a main road under a residential block that also houses some restaurants and takeaways. There is also numerous shops a few minutes away on Overtoom. This place has changed a bit and no longer has a pool table. The front of the shop is the largest area which seems like a waste considering you cant smoke there. Not even pure. The shop was definitely better before the changes but has lots of potential if set up better. 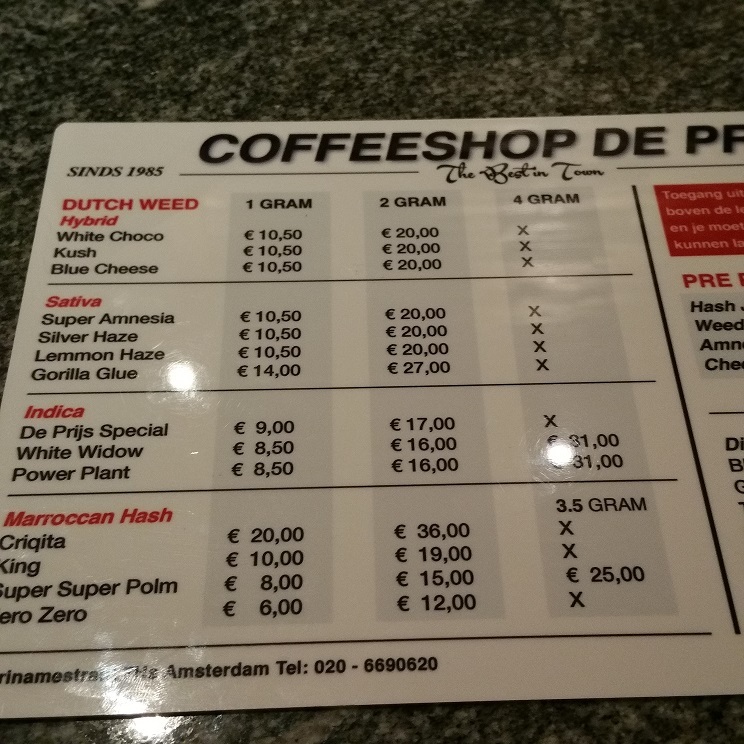 The menu is quite small and basic with average prices which you will mostly find in the coffeeshops in the centre. They also pre weigh the bags here.